The deadline to submit your Erasmus+ projects in 2019 is getting closer and if you want to boost your chances to receive Erasmus+ funding you should fill in the entire application form correctly. 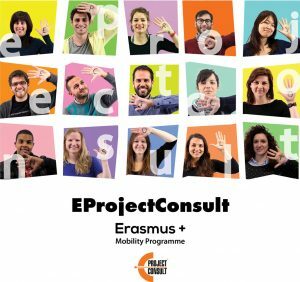 How to make a good mobility project? A good KA1 mobility project should be based on the real educational needs of the school and staff and must be relevant to the action objectives and priorities of the school. To build a quality project, it is useful to understand how the project can be assessed both on a formal and qualitative level. The activities foreseen by a KA1 project are also an opportunity for teachers to acquire skills in managing the needs of pupils from disadvantaged backgrounds. As indicated in the 2019 Program Guide, given the current situation of migrants, refugees and asylum seekers, particular attention will also be paid to the funding of projects for the updating of teachers in areas such as the training of refugee children, intercultural classes, teaching to pupils in their second language, tolerance and diversity in the classroom. Compare with the experiences already made before starting with a new project, it may be useful to compare what has already been achieved under Key Action 1, to draw inspiration from the proposals implemented by other schools throughout Europe. Before submitting your application, it may be useful to create a project team within the school to define the activities, the staff involved, the management modalities of the whole project in all its phases: preparation, mobility and follow-up during the project. It is important to include the project in a European School Development Plan. The mobility project will have a greater impact on the quality of teaching and learning if properly integrated into the institution’s strategic development. Dissemination is part of the project throughout its duration. Together with the activities it is necessary to provide an adequate dissemination strategy in all phases, from the candidacy to the sharing and dissemination of the results of the training experiences and of the project as a whole. As partner we undertake all necessary activities for implementing Erasmus+ projects: internship, training courses, accommodation, monitoring, dissemination, evaluation and organization of a cultural programme. If you need any help keep in mind that we can offer an adequate support for writing the application: analysing the goal of the projects, the feasibility according to the country of destination. We are available before the deadline of your project, answering through skype and e-mails, providing any type of support document, such as Letter of Intention, draft program of the internship, dissemination plan, etc. To get you closer we have a dedicated chat service to which you can write from Monday to Friday from 9 am to 6 pm. EProjectConsult and A Rocca NGO are ready to provide their support and to establish a long-term cooperation in the frame of the KA1 and KA2 mobility programs.